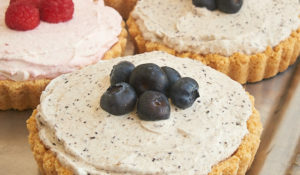 I love cheesecake just about any way I can get it, from the simple, no-frills varieties to the over-the-top wonders. 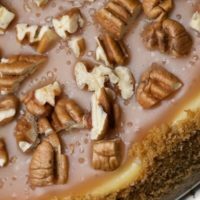 This Brown Sugar Caramel Cheesecake falls somewhere in between, combining a few simple flavors in all of its layers of deliciousness. Let’s start from the bottom and work our way up. First, the crust is much like an oatmeal cookie. It’s buttery and sweet and chewy and really just delightful. 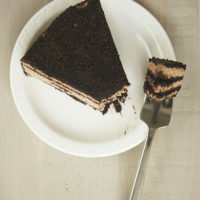 It also has just a hint of cinnamon to give it a little extra flavor that complements all the good stuff on top of it. Next comes a layer of caramel. This is the quick and easy version of caramel that starts with a bag of soft caramels. I often make caramel this way in multi-step recipes because it takes a lot less time and attention than making caramel from scratch. It chills well without getting too hard to slice, and it gets nice and gooey after it’s plated and allowed to sit for a few minutes. 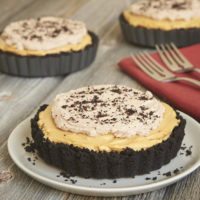 On top of the caramel is a variation of a classic cheesecake filling. 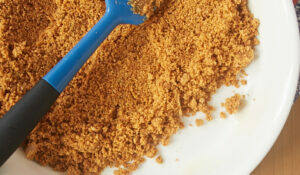 But this one is made with all brown sugar to give it a little different flavor. If you’re a fan of brown sugar, then you’re going to be in dessert heaven. 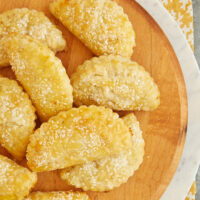 It’s sweet and has that hint of caramel-like flavor that brown sugar lends to baked goods. To top it all off, there’s some simple sweetened whipped cream plus some chocolate toffee bits for garnish. 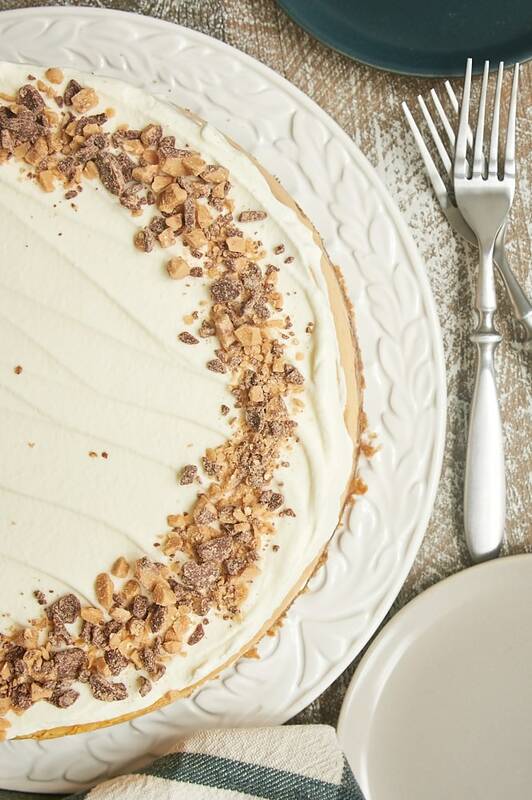 The layer of whipped cream is a bit of an extra sweet indulgence on top of this fantastic cheesecake. 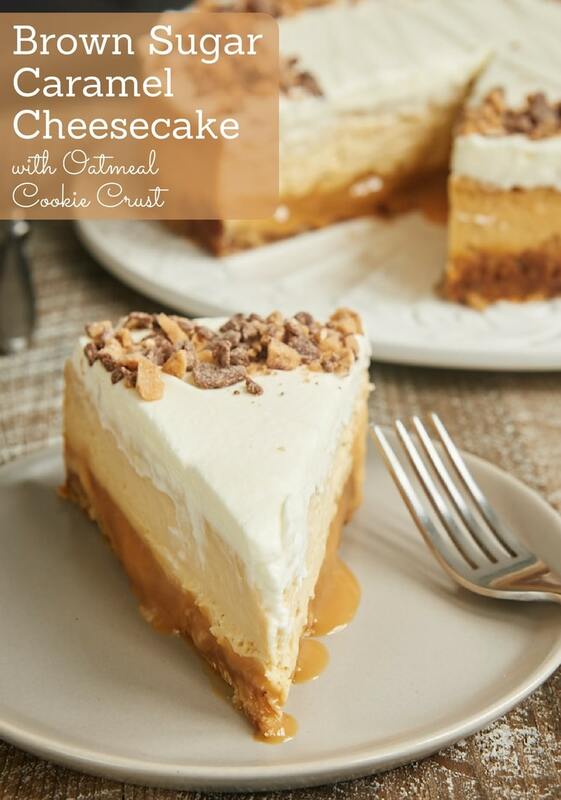 I really like the crunch of the toffee bits to go along with this smooth, creamy cheesecake. 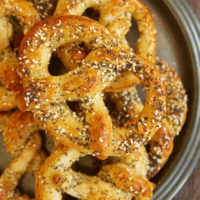 You could also top it with something else, like toasted nuts or chocolate shavings, or just leave it unadorned if you like. 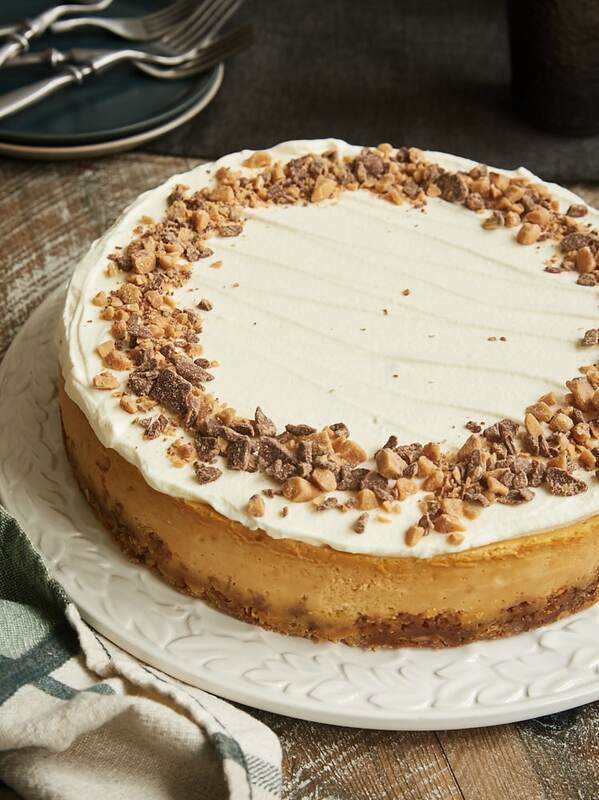 If you love caramel and brown sugar, then this is the cheesecake for you. The flavor is really just wonderful. All those layers work together perfectly! 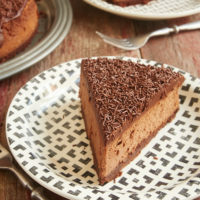 Even though making each layer takes a bit of time, this cheesecake is still simple to make. It’s just the kind of thing when you want an impressive, crowd-pleasing dessert without too much fuss. 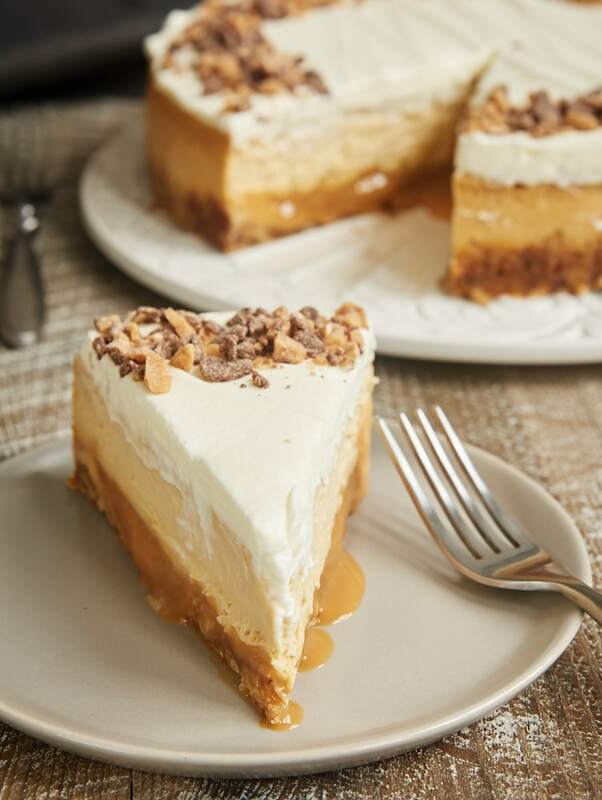 This Brown Sugar Caramel Cheesecake has SO many delicious layers – oatmeal cookie crust, caramel, cheesecake, and whipped cream. A big-time crowd-pleaser! Preheat oven to 350°F. Grease a 9-inch springform pan. Whisk together the flour, cinnamon, and salt. Stir in the oats. Set aside. Using an electric mixer on medium speed, beat the brown sugar, butter, and vanilla until thoroughly combined. Press the mixture into the bottom and slightly up the sides (about 1/4″ to 1/2″) of the prepared pan. Place the pan on a lined, rimmed baking sheet to catch any spills. Bake 10 minutes. Set aside to cool. Place the caramels and cream in a medium saucepan. Cook over medium heat, stirring frequently, until the mixture is smooth. Pour over the cooled crust, and spread evenly. Place the pan in the refrigerator while you make the filling (about 10 minutes). Using an electric mixer on medium speed, beat the cream cheese and brown sugar until thoroughly combined. Add the eggs and vanilla, and mix well. Mix in the sour cream. Pour the filling over the chilled caramel, and spread evenly. Place the pan on a lined, rimmed baking sheet to catch any spills. Bake at 350°F for 15 minutes. Reduce the oven temperature to 200°F. Bake for 2 hours. Remove the cheesecake from the oven and gently run a thin knife around the edges of the pan. Turn off the oven, and return the cheesecake to the oven. Leave the cheesecake in the oven for 2 hours. Cover loosely and refrigerate overnight. Sprinkle the sugar over the cream. Spread the whipped cream over the cheesecake. Garnish with toffee bits. Hi, Laurel. You can use a store-bought caramel. The consistency just may be different. I’d try for a thicker sauce versus a thinner one that’s mainly used for toppings. It’s been a while since I used Trader Joe’s, but I think it would be just fine. Well this is a truly mega gorgeous cheesecake. Each layer and component sounds better than the next! 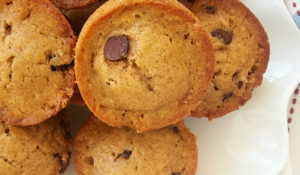 Have you ever tried making this recipe using muffin tins? Hi, Maggie. I haven’t tried that with this recipe. The baking time would need to change. I’d suggest starting at 350° for 20 minutes and adjust from there. Thanks for coming back to let me know how it worked! Happy Thanksgiving! Just finished making this for Thanksgiving tomorrow! The caramel oozed a little so I’m super glad you recommended the cookie sheet underneath. Can’t wait to cut into this after dinner tomorrow. Thanks! I hope you enjoy it! Happy Thanksgiving! I just made this for Thanksgiving, and it was a real winner! I used turbinado sugar for topping the cheesecake because I didn’t have Heath bits. Thanks for a solid recipe! I’m glad you liked it, Jenny! 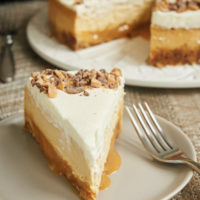 Hi…can this brown sugar caramel cheesecake be made ahead and put in the freezer until thanksgiving which is about a month away? 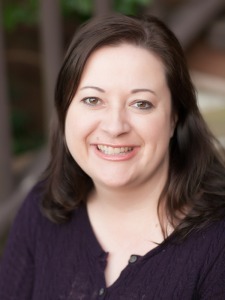 Hi, Renee. It should freeze well, but I would wait to make the topping until it’s thawed and ready to serve. I’m curious, why such a long bake time? Baking cheesecake for a long time at a low temperature is the best way I’ve found to bake it thoroughly without it cracking. Good Morning, loved the recipe but had a problem with the oatmeal crust getting hard. Tried with biscoff cookies with the same result. Any suggestions? Hi, David. It’s possible that the crust baked too long or too fast. I’d recommend checking your oven’s temperature accuracy with an oven thermometer and using a light colored pan. Also, make sure your oven rack is in the top third of your oven.